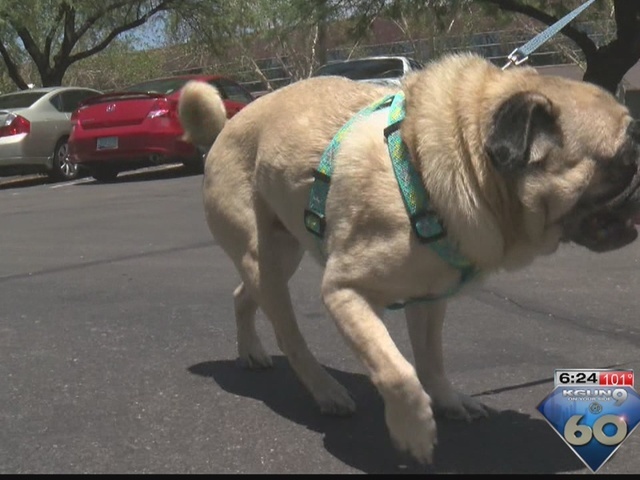 A local organization that helps abandoned pugs in the Old Pueblo is asking the community for help. It's called Hug a Pug, and it's mission is to help give abandoned pugs veterinary care and help them find "forever homes." The organization partners up with a local veterinarian to take care of sick, homeless, and stray pugs it takes in. Currently, volunteers are taking care of 30 pugs. Hug a Pug is in the middle of it's second annual fundraiser. So far, the rescue and adoption group has raised $1,521 of it's $4,500 goal. The money raised will go towards what they say the main obstacle in saving the pugs: the cost of veterinarian care. "They can't speak for themselves, they can't help themselves," Hug a Pug director Michelle Hoeflinger said. "Unfortunately we have a lot of homeless animals here in Tucson and in the surrounding area. So I'm just trying to do my part. You know, they make me happy. I don't know what else to say." If you'd like to contribute, head to HugAPugAZ.com . You can also email HugAPugAZ@gmail.com .